Hong Kong is the home of Dim Sum and the Dim Sum restaurants here are the best in the world. Whether it's your first time, or you're an expert with the Har Gau, Dim Sum is a Hong Kong experience that shouldn't be missed. 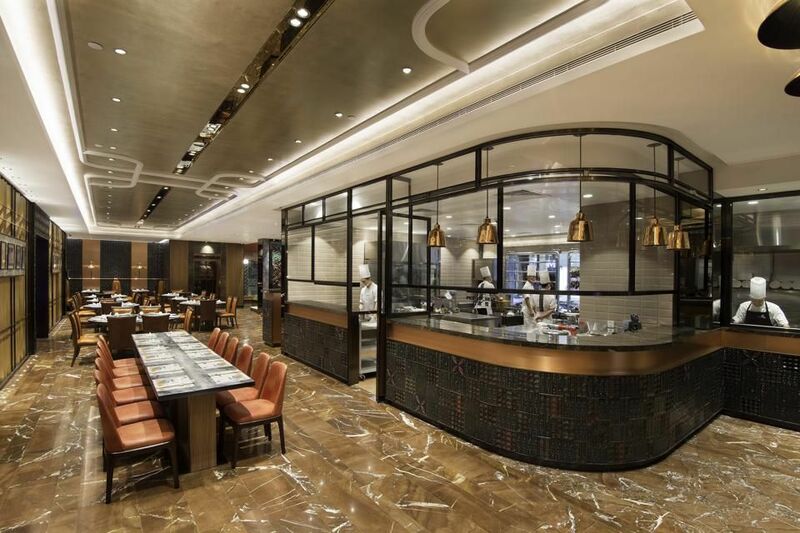 The title of best Dim Sum restaurant in Hong Kong is hotly contested and there are several awards handed out each year to different restaurants and chefs. Below you'll find a selection of the best traditional Hong Kong Dim Sum restaurants with those that offer a more modern take on the tradition. Whichever restaurant you choose, you will be guaranteed a fantastic Dim Sum. All of the Hong Kong restaurants that are listed will have an English language menu available. Hong Kong's most famous Dim Sum restaurant, Maxim's at City Hall deserves its hefty reputation for quality Dim Sum cuisine. One of the few remaining restaurants that still deliver Dim Sum to diners on a traditional cart, you simply point at what you want. Maxim's swinging chandeliers, white trimmed tassel chairs, and uniformed waitresses are a celebration of a classic Dim Sum restaurant. While its reputation has seen prices creep up, the combination of an authentic Dim Sum experience and first class food make it worthwhile. Some of the tastiest Dim Sum in the city served up by Hong Kong’s most talented Dim Sum chefs. If you are looking for a traditional setting, you’ll want to look elsewhere; instead, Cuisine Cuisine has a sublimely modern interior inside Hong Kong’s biggest skyscraper. It also enjoys unbeatable views over the harbor. Despite the modern interior, the cuisine is a strictly traditional interpretation and regularly ranked as some of the best in the city. Be sure to book ahead as it is perpetually popular. Where: IFC Tower 2, 2nd Floor, Central. With restaurants in both Hong Kong and in Guangzhou, Tsui Hang has true Cantonese regional experience in its delivery of Dim Sum – and it shows. Tasty Dim Sum is delivered inside a traditional Chinese interior by servers decked out in equally traditional costume. It's one that's squarely aimed at the tourists. But that shouldn't put you off the very good Dim Sum at very good prices. Western Market may not be the best Dim Sum restaurant in Hong Kong, but it can claim the best setting. This Victorian-era market building in Sheung Wan is one of the best pieces of colonial architecture in the city. The food here is decent rather than spectacular, while the ad-hoc daily layout of seats can mean your elbows end up in someone else’s soup. What really makes Western Market worth stopping by for are the daily tea dances. This step back into a bygone era is a fantastic way to make the most of an atmospheric setting. Prices are fair considering the fantastic setting, although it is often booked out by weddings and festival celebrations. Where: Western Market, Des Voeux Road Central, Sheung Wan. One of Hong Kong’s most famous restaurants is renowned for its roast goose rather than its Dim Sum, but you'll find no faults. Yung Kee has a famous vetting process for their chefs and this exhaustive training is apparent in the quality of the food. The atmosphere is exactly as you’d expect in a Hong Kong Dim Sum restaurant - manic diners descend on Yung Kee at lunchtime and the noise and action is all part of the Dim Sum experience. Where: 32-40 Wellington Street, Central.